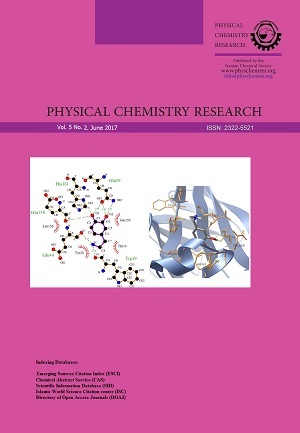 Proton transfer (PT) and methyl group transfer (MGT) occurring in small biomimetic systems, Formamide-Formamidic acid (FA-FI), and N-formyl-N-methylformamide-(E)-methyl N-formylformimidate (NMFA-NMFI) are investigated in the gas phase and in single-walled carbon nanotubes by using the density functional theory and the ONIOM approach. 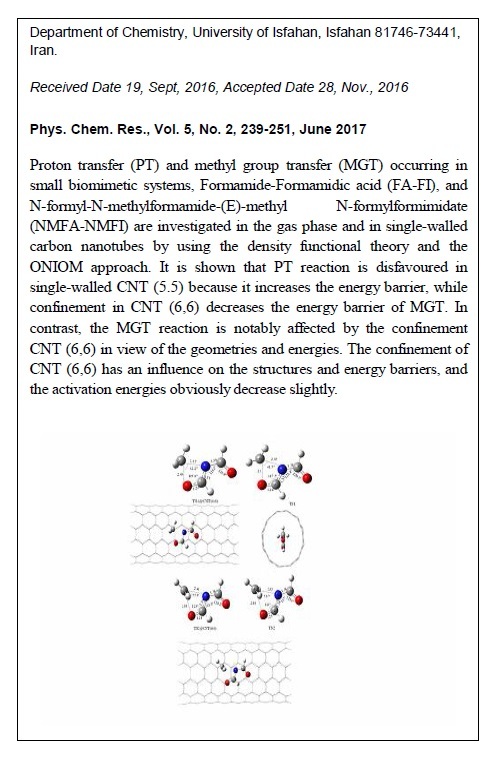 It is shown that PT reaction is disfavoured in single-walled CNT (5.5) because it increases the energy barrier, while confinement in CNT (6,6) decreases the energy barrier of MGT. In contrast, the MGT reaction is notably affected by the confinement CNT(6,6) in view of the geometries and energies. The confinement of CNT(6,6) has an influence on the structures and energy barriers, and the activation energies obviously decrease slightly.